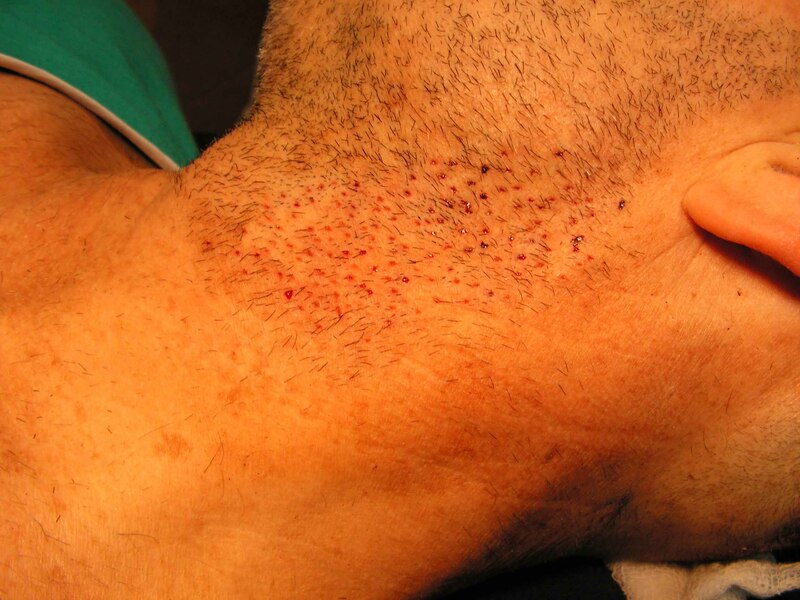 » As far as beard hair is concerned, we recently spent several days removing beard hair transplanted to a patients head. It looked, and felt like barbed wire and made this man’s life a misery. Again, BEWARE. » Dr Woods and Dr Campbell"
Dr Woods/others, I agree that beard hair should be approached cautiously in areas other than strip scars. Even in strip scars one needs to be cautious. There are so many variables that go into these decisions. I am going for a session next week where I plan to utilize 1,000 beard hairs with 250 or so going into the strip scars and 750 or so (mostly single hairs) spread out over a 200 SQ/CM area. That will result in under 4 FUE SQ/CM. Even with this low level of density, I am concerned. I am having another 2,250 body hairs transplanted to balding region along with the 750 beard hairs so I am adding 3 body hairs for every 1 beard hair in addition to the hair that I have already transplanted. I don’t plan on having any beard hair transplanted into the front areas so in reality it will most likely be a ratio of 1,750 to 750 (body 2.333 to beard 1). I will transplant 500 BHT or so into the front area to add some density and 500 or more into strip scar (250 beard, 250 body). In addition, I undertook an activity with my wife a couple of nights ago that gave me a little more confidence in the beard hair transplant. I told her to cut several of the beard hairs growing in my strip scar. She was wearing my reading glasses (basic 125’s) and she doesn’t need reading glasses, but it gave her extra magnification. She was wetting my hair and combing it away from the strip scars and she kept saying “how do I know which ones are beard hairs”? 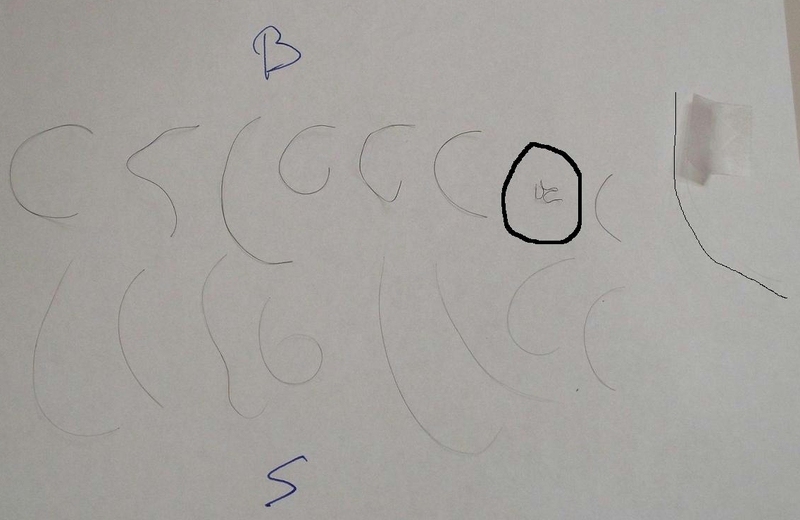 She finally found 9 and cut them out including 1 gray that was very straight and harder to see against white paper (one really odd one that words can’t describe see picture posted by David). The fact that she had this kind of trouble and she was actually looking for the beard hairs in a very designated spot made me feel much better about how well they blended. I wanted to see those hairs looked laying in a more barren area and how they would look mixed in with my other hair. Laying against a white piece of paper, the difference is more dramatic, but laying against a scalp that has a lot of other hairs on it makes it very difficult to detect. It is important to not place too many in a single area without other supporting hairs. In addition, I think that angulation is important as well. Here is an example of my scalp, beard, and pubic hairs on a piece of white paper from a previous post. the disparity in curl and color from their native scalp hair. In others, I thought there wouldn’t be a problem at all (or much less so) based on observing their hair properties. I think/hope I fall in the latter category. I have posted two pictures: one before any BHT work and after BHT work. I would 100% agree that beard hair should not be utilized in the first picture period. I think there is a big difference in that and attempting to do so in the second picture. Even with a lot of additional hair, there still might need to be concessions made to sport a much shorter hairstyle such as FUEOptions. If that ends up being the case, then I will have a complete head of hair as my donor source becomes almost unlimited. Bottom line is I’m going into this with my eyes open and certainly hoping for the best, but preparing myself to sport the shorter “do” for the rest of my life (or have them removed). beard hair. There is a definite difference in caliber, but the curl and color are a good match. BEFORE Any body hair December 2005. That is a lot of scalp to cover. 11 months after 2nd session (November 2007), Hair is thin, but much progress has been made and looks very natural. Here is a picture of 9 beard hairs and 8 scalp hairs. They are darker, but I believe that is because of the additional width more than anything else. I have held a couple right up beind thinner hairline hairs and it is not particularly noticeable. The gray beard hair is very hard to see, but it is very straight and I have it taped to a picture and have made a mark to the left of the pic so that it is easier to locate. You will obviously notice the 7th beard hair which was the one that my wife noticed right away and the only one she was able to find without looking particularly close. I have never had a beard hair grow like that on my face before so I am assuming this is a strange anomaly that resulted from either a damaged follicle or because of the strip scar or both. My beard feels very coarse to the touch when 1-3 days old. It does however feel much softer after it gets past 1 week or so. I think the beard hair is going to be very much a case by case basis. FUEOptions said that the hair isn’t going to change characteristics so the best thing to do is to grow beard hair out to better understand how that might look longer. Didn’t you use up 10,000+ body hair already, you still have more to spare? » Didn’t you use up 10,000+ body hair already, you still have more to spare? I have had about 11,000+ body hairs, 900+ scalp and 260 beard in the last 2 procedures. I’ve got absolutely tons more body hair. The key is the quality of body hair. My chest and arm pits will be thinned a lot after this trip. Pubic hair will be as well. You can’t really notice that I’ve had anything farmed from my legs or my forearms and I had 5,000+ taken from there last time alone. Any thoughts on the beard hair?? I think beard hair is the best thing ever discovered for people with strip scars. I can see from the last pic your beard hair did grow long. The thickness is fantastic for breaking up the strip scar. I really don’t care that some doctors say it will feel like barb wire. All I want is something effective to break up the strip scar. Good luck with your next procedure and please keep us posted. I might do the same after the new year. 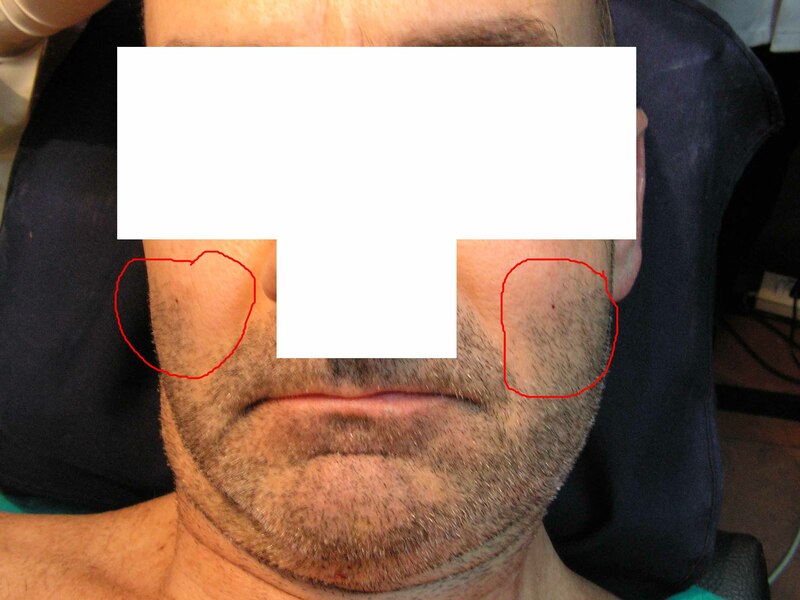 I think most doctors are coming to the opinion that it is good for strip scars. 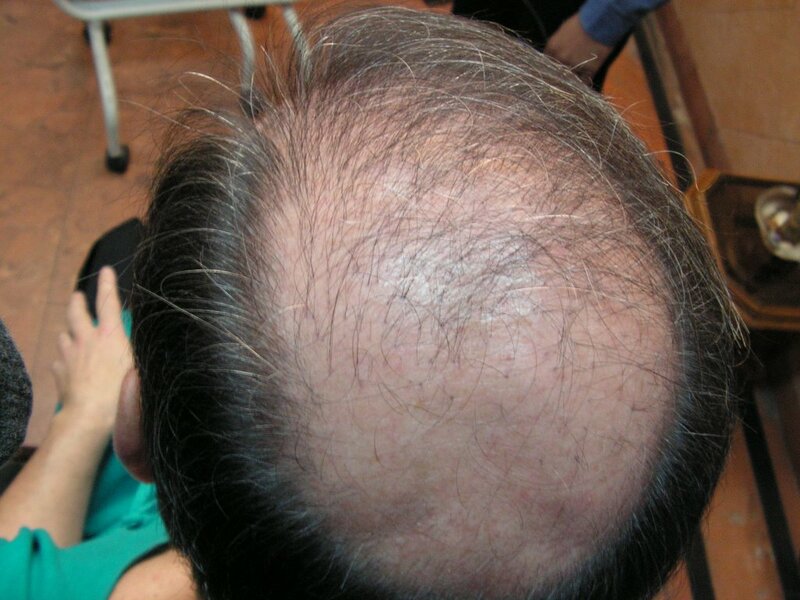 What are your thoughts for transplanting in balding region with other body and scalp hair? 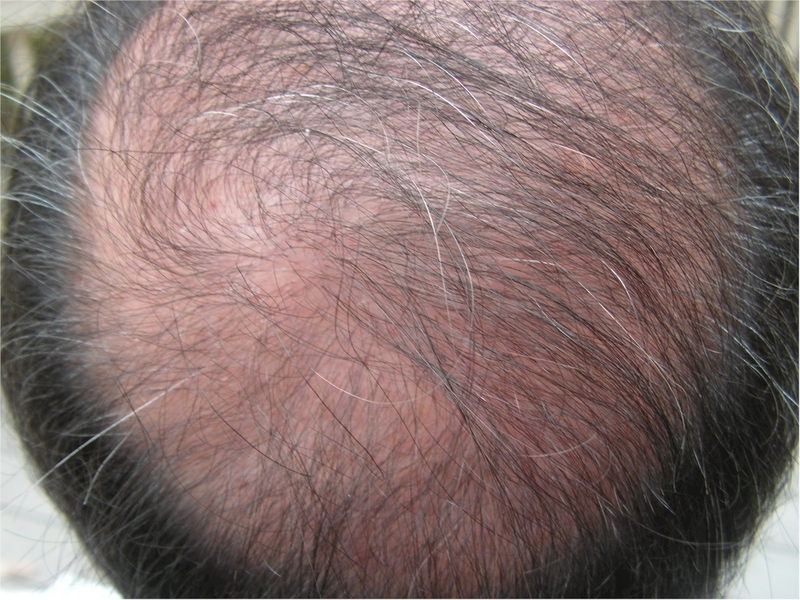 » other body and scalp hair? I think you can’t lose as long as you mix them up nicely with regular scalp hair. That’s probably the most effective way to get density. It really doesn’t bother me that they feel coarse to the touch. As long as you mix them up, I am sure they blend in well with your regular hair. No scars taking beard hair? We are talking about scars on your face. Make sure there is absolutely no scar before you do it. » sure there is absolutely no scar before you do it. Abosulutely right to be concerned. Everyone heals a little bit differently. Last year I had one beard hair extracted up on each side of my cheek in a very visible location. Within a couple days they were not even noticeable. I then had 260 (130 each side) removed from the lower part of beard on outside of neck. I apologize for size of pics. Let me ask you this… In your next procedure how much will this cost you? Just wondering. If you have not picked a doc.yet how may are you going for? » there last time alone. » Any thoughts on the beard hair?? 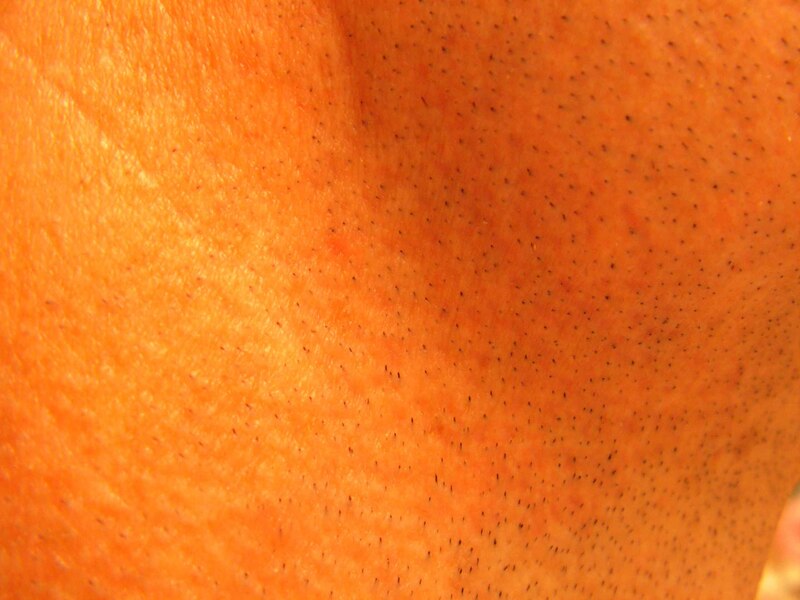 Do you know approximately how many of the 260 beard hairs from last 2 procedures grew? I really have no way of knowing other than I think it is a pretty high percentage as it has made a cosmetic difference in some areas that were almost “see through” thin on side and back. In addition, the strip scars look much much better. So I guess it comes down to individual priorities as to how much we care if some of the hairs felt like barbed wire (worst case scenrio). Personally I wouldn’t mind beard hair to be mixed with other body hair considering the fact that beard has longer growth phase compared to other body hair. 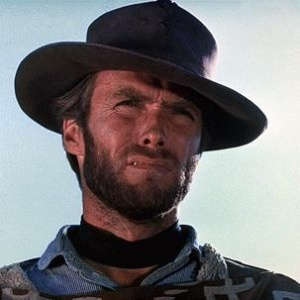 Other interesting point I noticed is -beard hair extracted from the outer sides of the neck could give a ‘clint eastwood’ look, which I wouldnt mind either, some like it some might not care, but just my 2 cents thoughts. » fact that beard has longer growth phase compared to other body hair. » either, some like it some might not care, but just my 2 cents thoughts. Exactly. That is the natural way I trim my beard anyway. I trim down on cheeks area for a nice even look and trim beard up under almost to jaw line. There is a lot of beard hair that could be removed before it would affect the “look” I like anyway. As for the beard hair and body hair mix. You are right about longer growth phase for beard hair vice body hair. IMHO it is much better to have a healthy mix of body and scalp if you are considering beard hair. Perfect example is that my “before” picture would not look right with beard hair without quite a bit of other hair growing in that area.